I RECENTLY watched the movie Cake, Asim Abbasi’s tale of two Pakistani sisters who have to look after ailing parents and confront unresolved family secrets. The movie has won praise for its realistic portrayal of a family and its triumphs and difficulties, as well as for its marvelous soundtrack, which showcases the classic poetry of Shah Abdul Latif Bhitai and Shaikh Ayaz. In this film, the family was Sindhi, but not the type of Sindhis we’ve come to expect from the media — mustache-twirling feudals, abused, oppressed women, helpless peasants, gun-toting daakus. Instead, the Karachi-based Jamali family is made up of characters everyone can relate to: a bickering husband and wife who love each other beneath all the insults; a strong-willed daughter who takes up the responsibilities that her foreign-dwelling elder brother and younger sister have abandoned. When the father falls ill, the middle daughter, Zareen, must look after the family’s small farm. She travels to the village in a Toyota Corolla, not a Land Cruiser, and learns about farming from the munshi and kamdaars. 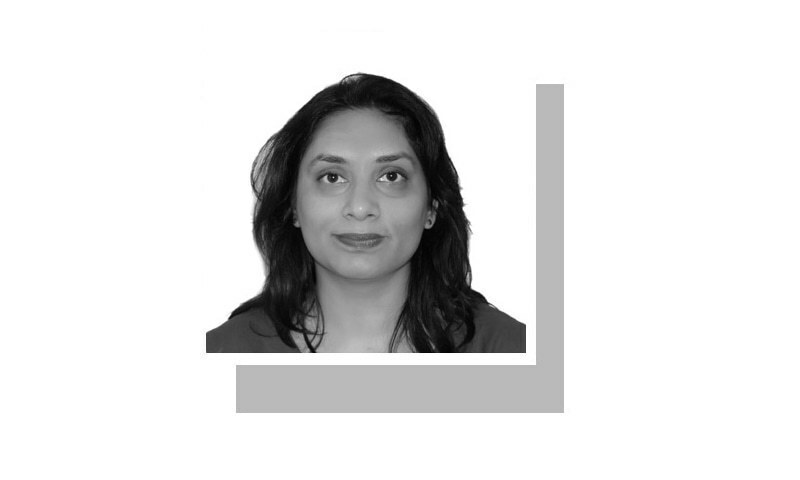 A daughter looking after the lands is the exception in today’s Sindh, but Sindhi culture, patriarchal for the most part, does have pockets of matriarchy where strong women assert themselves in the home and community. Sarmad Masud’s My Pure Land tells the true story of another Sindhi woman, Waderi Nazo, who fought off 200 thugs who wanted to take over her farm after her father was arrested. ‘Cake’ is cinema at its best and beautifully truthful. Cake represents the transition between entertainment and art in modern Pakistani cinema. The family tensions the film explores, with its emotional scenes and themes of conflict, betrayal and love, are the entertainment. But Cake’s portrayal of Sindh, the ease with which the characters move back and forth between the city and the village, the love that people have for their land, to the point where the elderly couple promise each other that they’ll be buried in the village when they die, is the art. As the fields of sugar cane ripple in the breeze while Allan Fakir sings the first plaintive notes of Shaikh Ayaz’s Tarrin Paunda, it becomes clear that this is cinema at its best and most beautifully truthful. While Cake has been immensely popular with all, the young people who watched the movie may have not appreciated its message of casting aside stereotypes and taking people as individuals, not caricatures. For example, the same young people who watched Cake in the theatre went and celebrated Daaku Day at LUMS. This is a hazing ritual where students dress all in black with ajraks on their shoulders and Thar women’s tattoos on their faces, tote water guns, and steal money from one another. After complaints to the administration that violence and harassment went on in the guise of this ritual, and that the spectacle of ‘dressing up’ as daakus, enacted by mostly Punjabis, was offensive to Sindhi culture — ajrak is a mark of respect among Sindhis, and water scarcity is becoming a serious problem in the province — the administration said that Daaku Day was to become Pirate Day. The students reacted with a mix of relief and protest, the latter from those who associate Sindhis with criminality and don’t recognise the decades of ethnic violence that have been enacted in the name of such stereotyping, as well as their own casual complicity in the racism that mars inter-provincial harmony. One would expect a better education from an institute of higher learning with the reputation that LUMS has, but cultural sensitivity is a topic that meets much resistance. As Daaku Day illustrates, there is demonstrable need for it to be on the curriculum where Pakistan’s elite are being schooled. In the US, a music festival called Coa­chella came under criticism because at­­ten­­dees don Native American headdres­ses and wear bindis on their forehead as fun, trendy costumes for the weekend. When writers and cultural observers from First Nations and Hindu communities pointed out that headdresses or war bonnets and bindis are important cultural and spiritual symbols, and should not be worn as costumes, offenders were quick to apologise and admit they had not known enough about those cultures to refrain from causing offence. That climate of respect and reconciliation must come to Pakistan, too, where these days Pakhtuns are marching for their rights and protesting against being marked as terrorists simply because of their ethnicity. As one journalist pointed out, the character of Romeo in Cake, a young Christian nurse, is played by Adnan Malik as someone who is part of the family and yet still an outsider — “an analogy for how members of minority communities probably feel in our society”. To strengthen our nation, we must all break out of our own narrow perspectives to understand life through the eyes of the other. Films like Cake are just the type of art that might help us understand them as fellow Pakistanis, and human beings. It is entertainment like many other attempts in the past to pacify the guilty feeling the prosperous Pakistani liberals feel. The majority has no access to this type of media and has no interest in the guilt'-driven and deceiving agenda of the corrupt and selfish liberals. The average Pakistani has tried their luck with PPP in the past and seen the greedy PPP leadership get more corrupted as in the case of current PPP government in Sind. The reality of the Sind problem is lack of education and miss use of Sind's votes by the feudal lords and politicians. Very good article,that boldly depicts stereotype that shamelessly instilled in ignorant minds. An educations institute of elites which gives characterless education will produce bigots and this is a great disservice to society. What a shame! @Kala Ingrez. The real problem of all our ills is ethnic discrimination and racism. Over and above everything we have no institution in the society to train professional politician. This is going off for the last 70 years. Unless we attend to these issues we will remain the same unless we disintegrate. To be honest, i was expecting more sense and sensitivity than shown by LUMS students... Even as an elitist institute, one can't understand their adoption of stereotypes.. Undoubtedly, Cake is a breath of fresh air in our local cinema scene. The locale though Sindh, it represents the need to revive the old and dying family values of the subcontinent, when the parents,in their old age, were the responsibility of their children. Very well directed by Abbasi and rightly being acclaimed as a great film, despite the absence of dance and music extravaganza of Bollywood.